With Kali Linux 2.0 released and everyone started upgrading, it’s imperative that we try to follow Official guides first. I get many readers who are using Kali Linux and will follow my guides (unfortunately, some would follow my guides first than following Official guides, duh… I’m honored but seriously … come on mate!) I was notified via email/twitter/Facebook message that some of my posts requires updating. 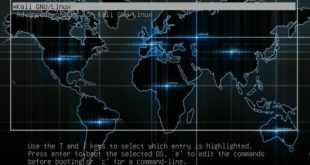 This post was originally posted by Offensive Security, the good people who worked endlessly to create Kali Linux which contains valuable information’s. 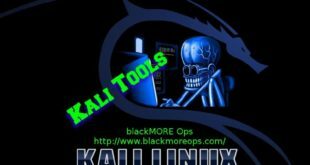 I am re-sharing this with my readers hoping that you will try to follow Kali Linux 2.0 Top 10 post install tips by Offensive Security first before you try my guide as I’ve had just 24 hours to evaluate my previous posts and correct those whereas the dev team at OffSec had months. So obviously, their posts and instructions will be more accurate than mine. I’ve updated some parts of it as the official guides didn’t either explain much or didn’t had images for new users. Hope that’s OK! With Kali 2.0 now released, we wanted to share a few post install procedures we find ourselves repeating over and over, in the hopes that you will find them useful as well. We’ve also slapped in some answers to common questions we’ve been getting. This is re-blogged from Offensive Security’s blog post. Re-blogging it to raise awareness. 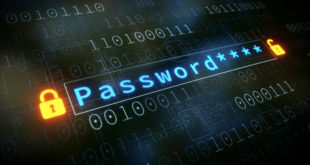 Please visit Offensive Security Blog page for official updates. Some people love it, some people hate it. In smaller resolutions, it can be annoying. We’re talking about the disappearing sidebar on the left of the screen. Here’s a short video how to change this behaviour. Kali Linux 2.0 takes on the Debian SSH configuration option, default since Jessie, which disallows root logins without a key. 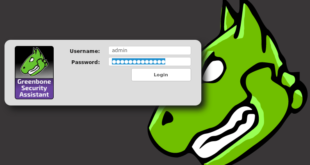 The less preferred alternative, is to change the PermitRootLogin parameter to “yes”, and restart the SSH server, which will allow remote password root logins. For safer remote root SSH access, add your public key to the authorized_keys file. If you have an NVIDIA graphics card, you should follow these instructions to get the NVIDIA drivers installed in Kali 2.0. Our instructions on installing virtual guest tools haven’t changed much and work well on the latest version of VMWare (Workstation and Fusion), as well as VirtualBox. If for some reason you chose “no” when asked “use a network mirror” during you Kali installation, you may be missing some entries in your sources.list file. If this is the case, check the official repository list that should be in that file. Despite what many unofficial guides instruct you to do, avoid adding extra repositories to your sources.list files. Don’t add kali-dev, kali-rolling or any other Kali repositories unless you have a specific reason to – which usually, you won’t. If you must add additional repositories, drop a new sources file in /etc/apt/sources.list.d/ instead. 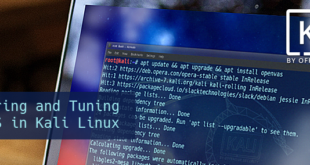 There’s several ways you can use Kali – either as a “throw away pentesting machine” or as a “long term use OS“. The “throw away” method entails setting up Kali for a one off engagement or short term use, and then killing off the OS when done (this usually happens in virtual environments). The “long term use” use case describes people who want to use Kali on an ongoing basis for day-to-day use. Both methods are perfectly valid, but require different treatment. If you plan to use Kali on a day-to-day basis, you should avoid manual installs of programs in FSH defined directories, as this would conflict with the existing apt package manager. I am trying to update old blog posts as fast as I can. Readers, do understand Offensive Security/Kali Linux Dev team got way more people (compared to me only) and their instructions are to be followed first. I am happy to update/modify any posts if there’s a fault. If you’ve found an issues with any of the posts, do correct me. Thanks and enjoy your Kali Linux 2.0 – Kali Sana. Re-share this post to raise awareness. 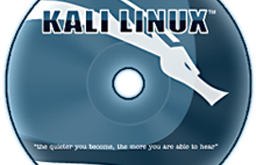 Previous How to add official Kali Linux Repositories? Nice work been following for awhile now you really should get back to YouTube dude you could be a hell of a youtuber. I am still evaluating that idea. As far as you don’t forget the blogging it would be nice :) videos are very helpful some times. If you really want to run vlc as root, open /usr/bin/vlc with a hex editor, find geteuid and replace it by getppid save it and you’re good to go. Still running intomajor issues installing Chrome. (google-chrome:7464): dconf-CRITICAL **: unable to create directory ‘/run/user/0/dconf’: Permission denied. dconf will not work properly. Also the built in flash keeps crashing. Just don’t….. ” hint ??? besides kali shouldnt be your everyday os…. on another sidenote its pretty well known that flash is a huge security issue and recommended simply everywhere to leave… firefox ditched flash for a reason! wellknown like said…. second the advice JUST DONT! Unable to install VirtualBox Guest Additions as by the method you have described in the link given. Hey…I’m rather new to linux and even though it kind of is BEGGING to not receive any help by asking such a generalized question here, I’m still going to ATTEMPT (I can’t stress that word enough as I am still very much learning myself) to try and point you in the right direction because I am very familiar with the growing pains one must endure when attempting to learn linux (ESP if you’ve only ever used MS Windows for the most part)….Are you aware of the type of wireless card your machine is using? There was an issue with Kali 2.0 where a lot of Intel wireless cards that come built into a huge amount of PC’s wasn’t able to be installed via the GUI installation version of the OS…however, I ended up tracking down an answer that I believed to be adequate which came from Intel….follow the link…be prepared to do a little reading/homework….Hopefully this helps. Thanks Blackmore – that worked for getting it to download….butow – how do I get it to launch? So I tryied running PIA VPN from CLI but the VPN does not connect completely. It says “Initialization Sequence Completed” however the browser does not open any pages. Did you figure out openvpn/pia yet? If not I may be able to help you. trying to install NVidia drivers to activate CUDA password cracking on my GeForce GTX 750 Ti. 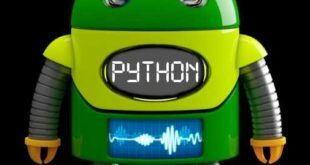 Manual configuration required to enable NVIDIA driver. The NVIDIA driver is not yet configured; it needs to be enabled in xorg.conf before it can be used. Please see package documentation for instructions. Is this correct? Does this need to be fixed? Every time I try to connect net using data card in kali 2.0 It shows error in starting connection.Is there any way to solve it as I dont know much of kali? I’ve another issue. my CDMA Qualacom modem is not being detected. i did lsusb it is shown as mass storage device. then i tried to swtich it also i did modprobe bt still no success! it worked fine ubuntu which i was using before kali. help me guys if u know how to sort this out..
my genymotion doesnt work on new kali 2.0…..and it still needs alot of upgrades compared to previous versions cobalt strike doesnt work also …. how to Uninstall Adobe Flash player on Kali linux 2.0 Sana? If you have not figured out how to remove flash player try this. # apt-get remove adobe flash player. you may have to tweak a bit depending on what version of flash it is. let me know how it worked out. Same issue, can not for the life of me find a resolution. Any luck on this yet? What about us AMD/ATI GPU users? (Not to complain or anything, just wondering if that is being worked on or not). I haven’t followed the last guide (not completely, yet, as it gets stuck for me installing the fglrx-driver, which it reports as broken held packages) but Sana seems to have broken some things that it had, or did I mess it up somehow? I install kali linux 2.0 but I didn’t connected to my broadband internet connection. Please give me a solution with graphical user interface videos. OK… so prior to 2.0 I could boot into Kali, get a terminal, type “airmon-ng check kill”, “airmon-ng start wlan0 11”, then start wireshark (which I had, in the options, entered my wifi key correctly, and enabled decryption) and begin capturing on mon0. Now airmon-ng is naming the supposed monitor mode “wlan0mon” or something. If I dont “check kill” first then it makes a “wlan0mon0mon” but it seems to at least be capturing but all trafic is shown as 802.11 protocol – no decrypt. If I do the “check kill” it doesn’t even see any traffic on wlan0mon. What in kali 2.0 has changed? Is it Airmon-ng? Has this been addressed by them yet? I can’t find anything about it but I’ll keep looking. I’ve seen alot of posts about this issue and but the gods remain oddly silent. Have you figured out openvpn yet? LimeVPN delivering premium VPN services with the guarantee of 7-days cash back options, without demanding for any explanation.